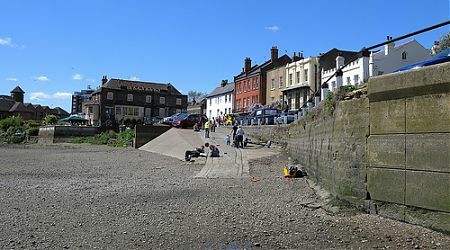 The foreshore at Isleworth, and along Syon Reach, was investigated during the 1950s – 1970s by Ivor Noel Hume and the West London Archaeological Field Group. Fieldwork by the Thames Archaeological Survey and Museum of London Archaeology recorded a mid Saxon fishtrap on the foreshore during the 1990s. Further sampling by the TDP confirmed the association of a contemporary causeway or access leading to the trap. 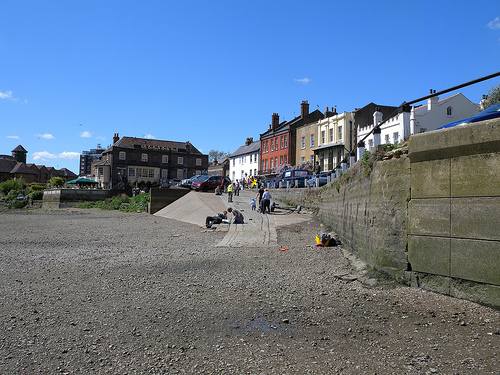 Additionally, recording was undertaken by the TDP / FROG on a Victorian causeway structure and the masonry slipway near the London Apprentice PH. An interesting assemblage of worked stone survives on the foreshore and Hindu artefacts have been noted on a number of occasions. Check out the articles below to learn more about Isleworth and Syon Foreshore.